TO CLEAN: Use a clean, soft cloth to wipe your fixture. The metal can be polished with lemon oil. 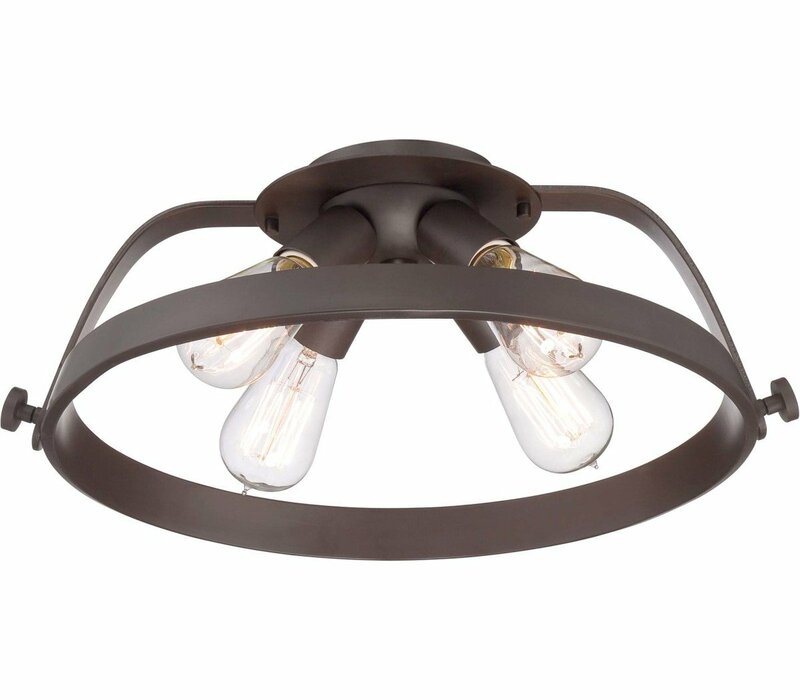 Theater Row pays homage to Thomas Edison with a vintage bulb that is not only nostalgic but also very trendy. It is a perfect circle but tooled in an elegant way unlike any other item on the market. With the exposed bulbs and a choice of two finishes imperial silver and western bronze Theater Row brings old New York elegance to lighting. 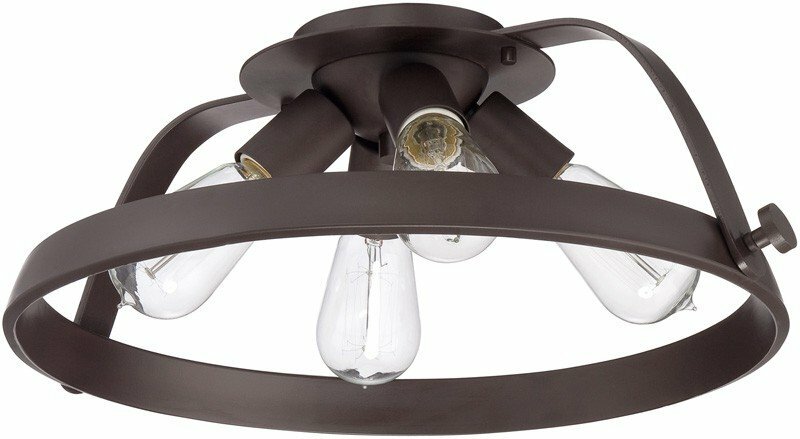 The Quoizel UPTR1716WT Uptown Theater Row collection Close to Ceiling Lighting in Western Bronze uses Incandescent light output and brings Contemporary style. This item is 6.5"H x 17.5"W x 17.5"L. The wattage is 60. 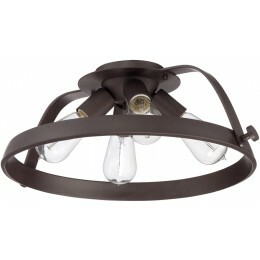 The Quoizel Lighting UPTR1716WT requires 4 bulbs (included).